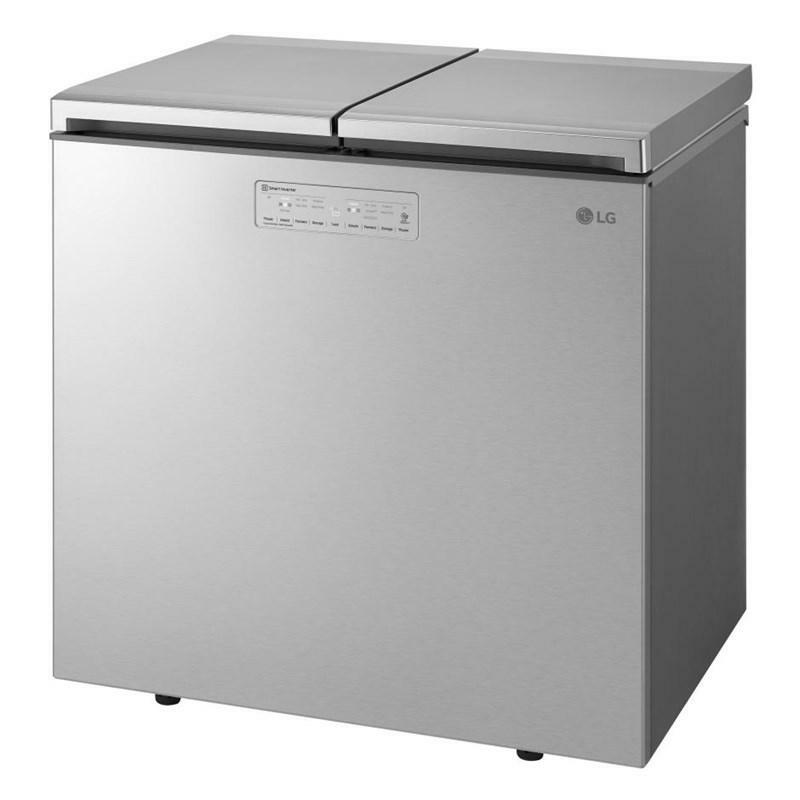 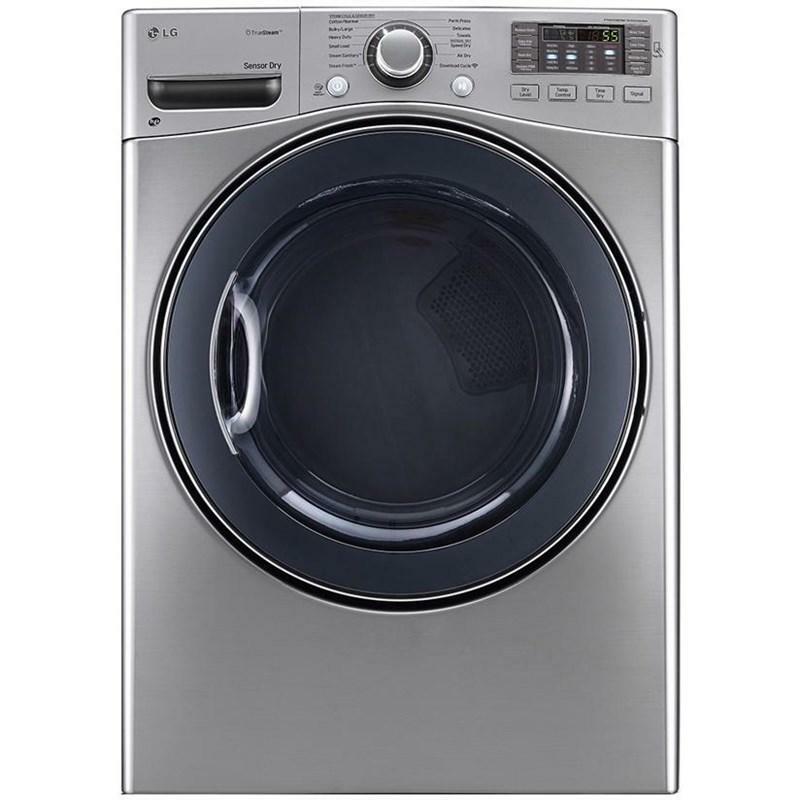 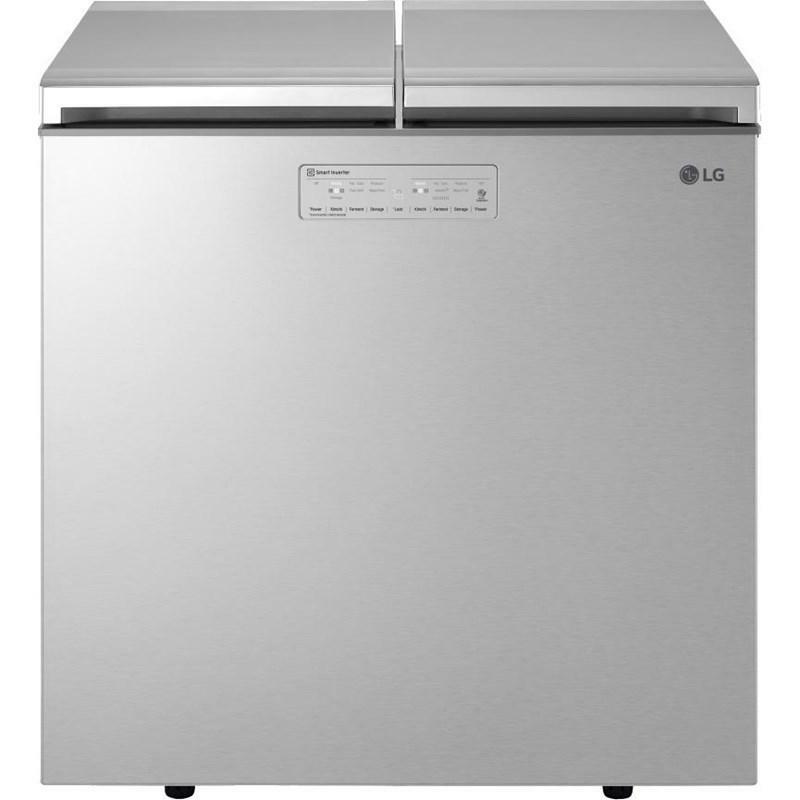 This LG 7.6 cu. 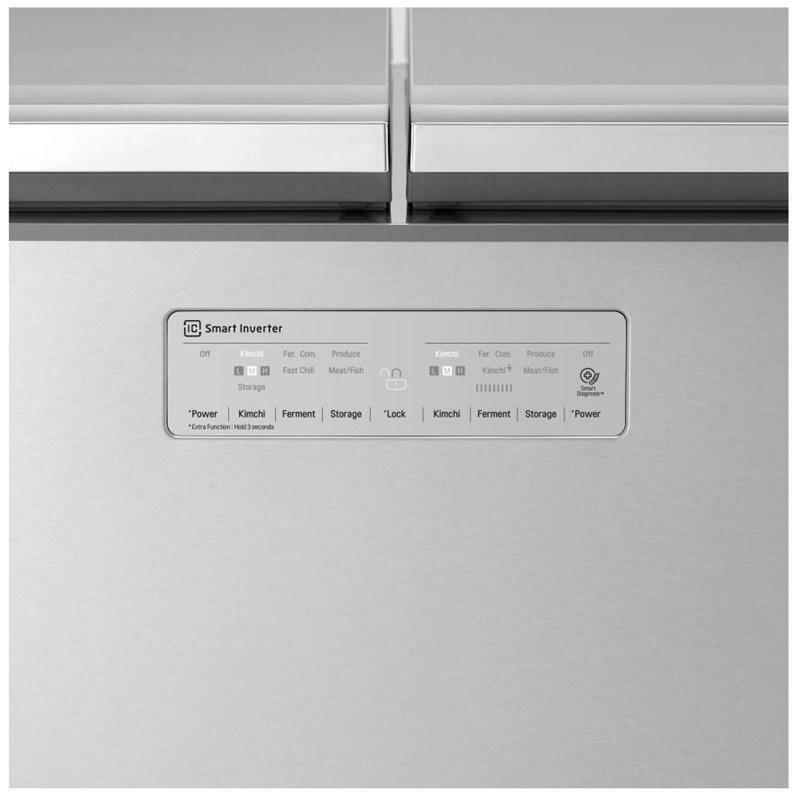 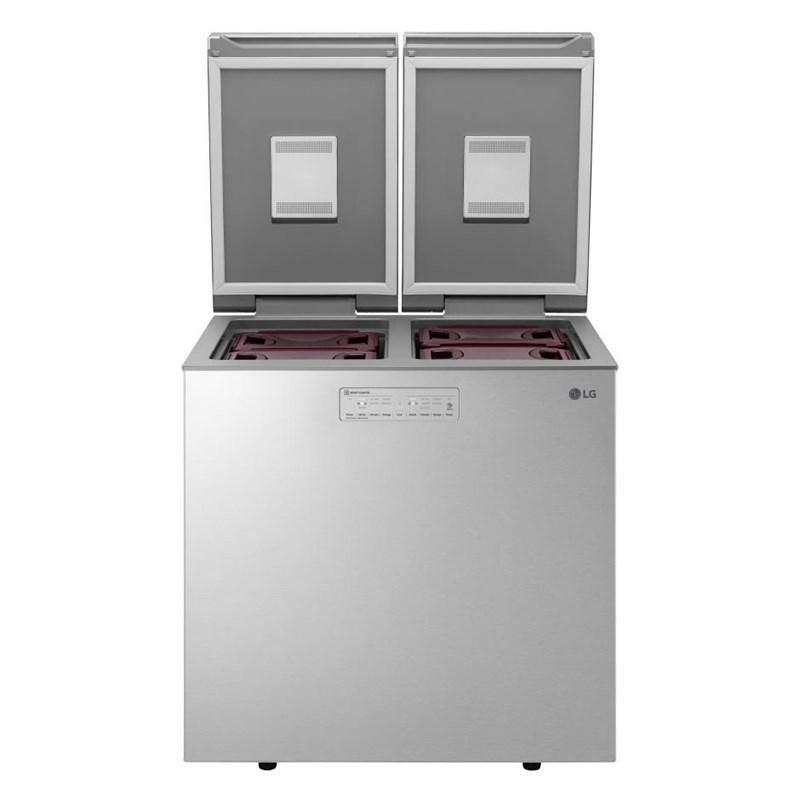 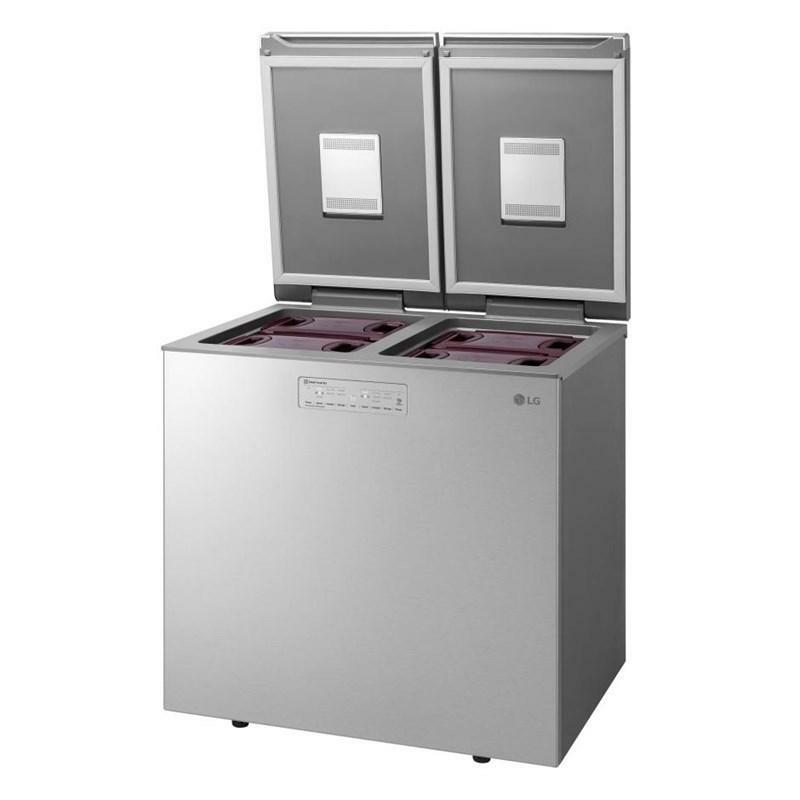 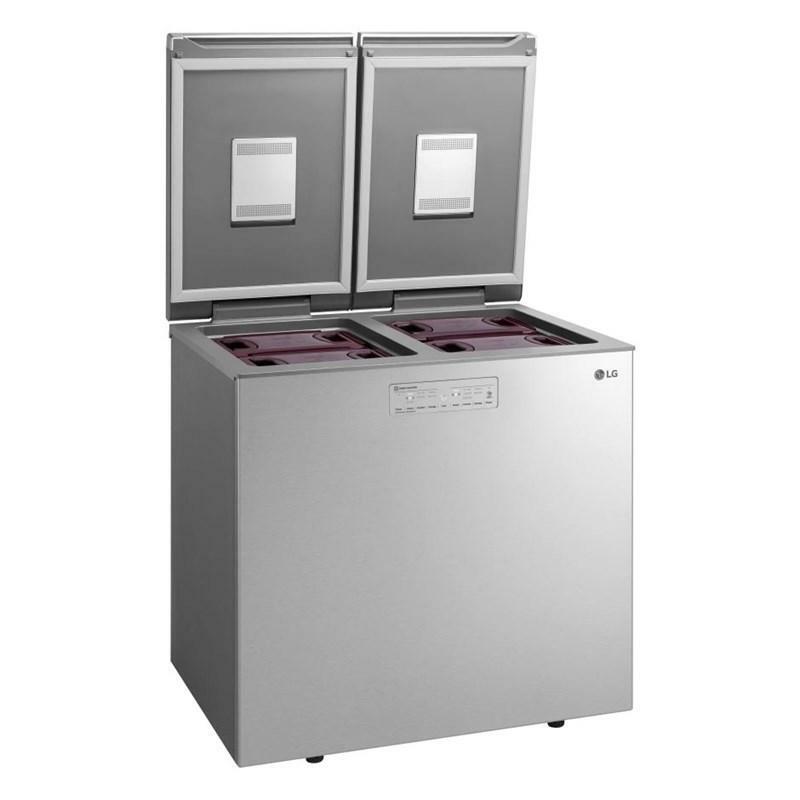 ft. kimchi and specialty food chest refrigerator features three temperature sensors, the Cooling Care system and digital temperature control. 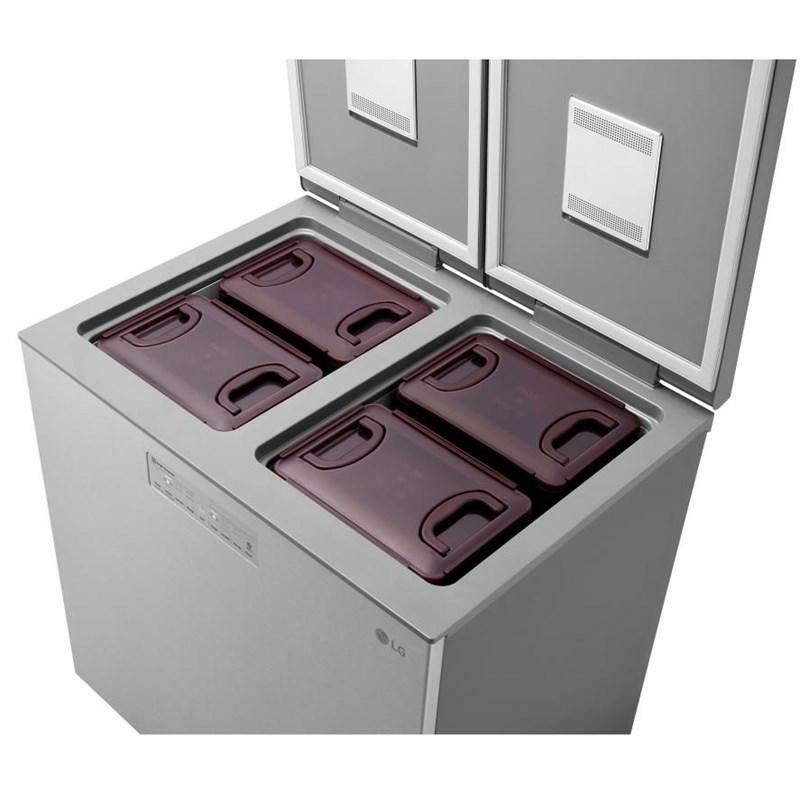 This LG kimchi and specialty food refrigerator is equipped with customized storage containers that are 100% airtight to seal in the freshness while preventing aroma overload. 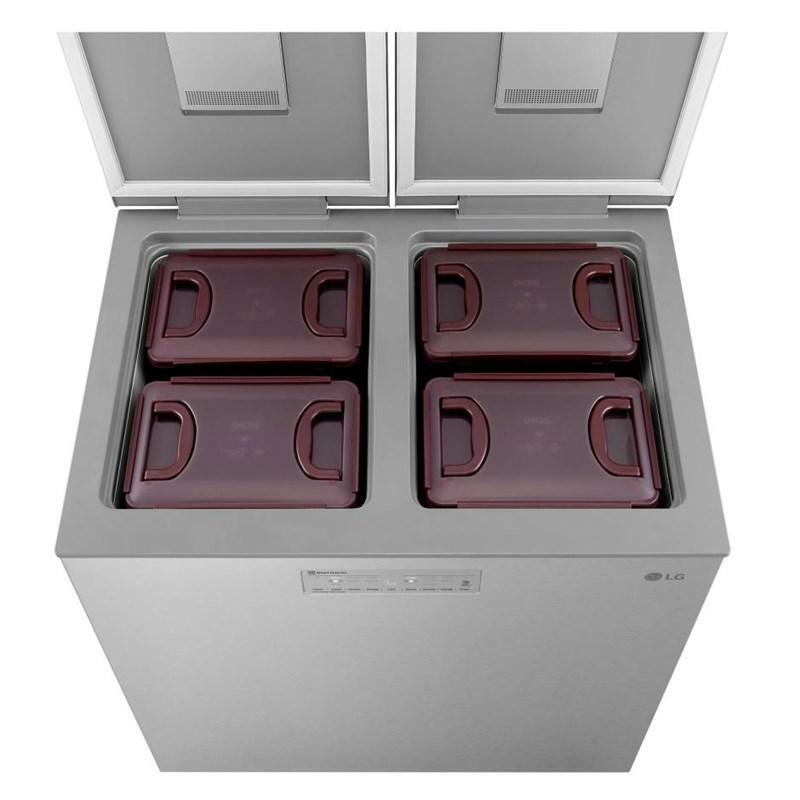 With 8 containers, it offers a generous 35 gallons of storage capacity - ample room for all of your favorites. 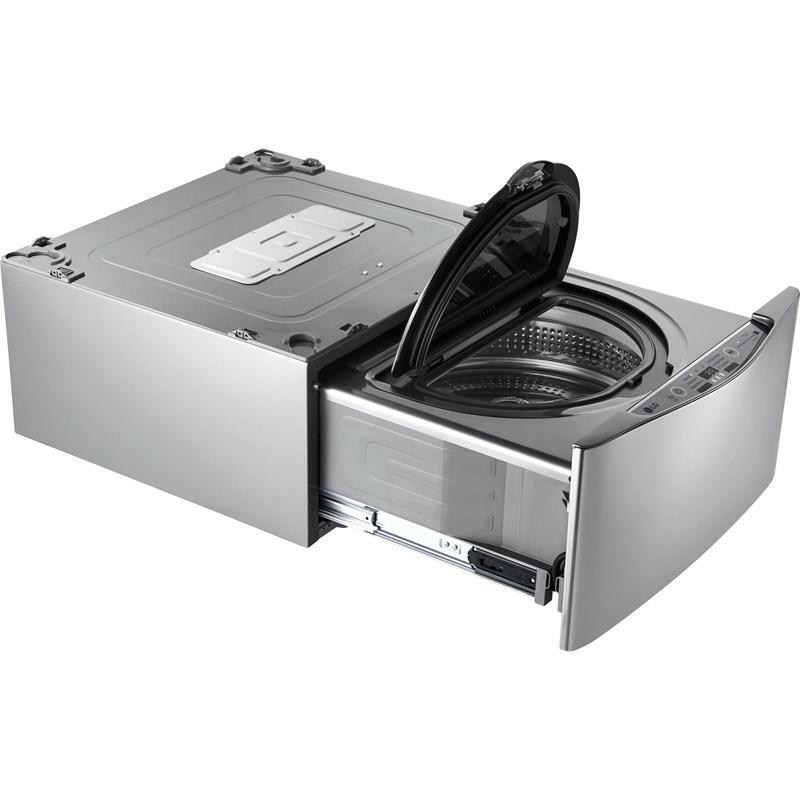 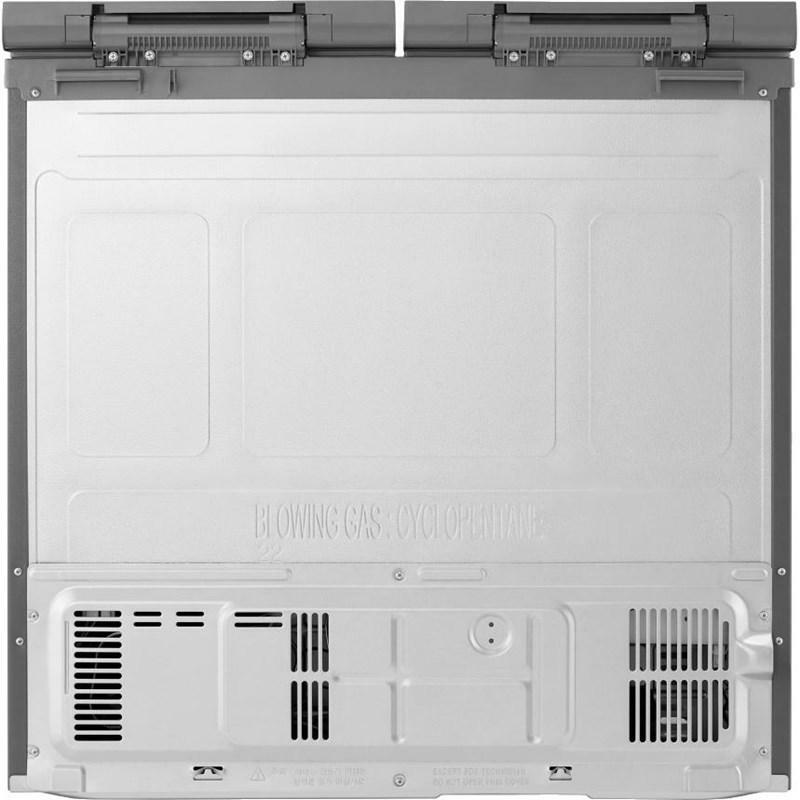 Additional Dimensions • Depth without Door: 27 1/8"
• Depth (Total with Door Open): 27 1/2"